You may get following HTTP error if you don’t have ASP feature installed in IIS 7/7.5/8/8.5 server. It’s possible a handler mapping is absent. By default, the static file handler functions all content. The feature you want to use might not be installed. After that, you should check ASP.NET option. 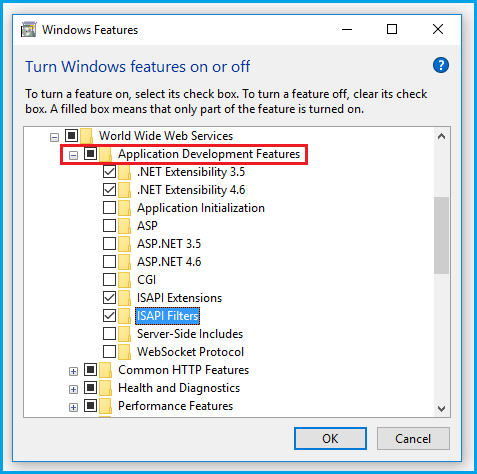 After clicking on ASP.NET option ISAPI Filters, ISAPI Extensions, .NET Extensibility options will be selected automatically. Make sure that specific version is checked. These options are divided into 4 and 4.6 in Windows server. Note: .NET framework version can be changed. So make sure which framework version is in the %windir%\Microsoft.NET\Framework64 directory and run the command accordingly before running. 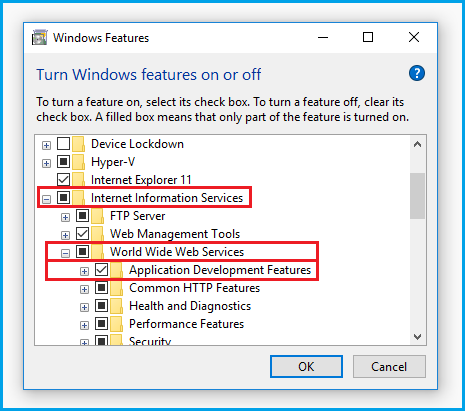 Lastly, check in IIS manager, that your application uses application pool with .NET framework version 4.0.